One check off the nail art to-do list: summer beachy look encrusted with pearls and crystals! Woo! This is the type of design I've been wanting to do for years (literally) but it never felt like the right time. Well, once Born Pretty Store sent me some new starfish charms I knew the time was here! And I am ECSTATIC over how these nails turned out! Ahhhhh~! 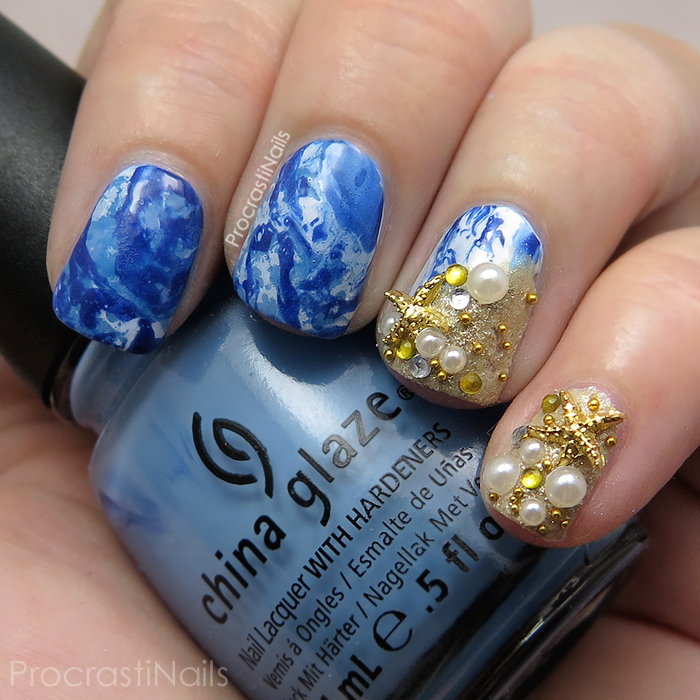 I did my ocean nails first - I outlined all my nails and my strip of "beach" on my ring finger with liquid latex and then went at it with a combo of water spotting and saran wrap techniques along with a whole bunch of China Glaze blues and Wet n Wild French White Creme and then pulled of the latex and layered my beach with two different textured golds. 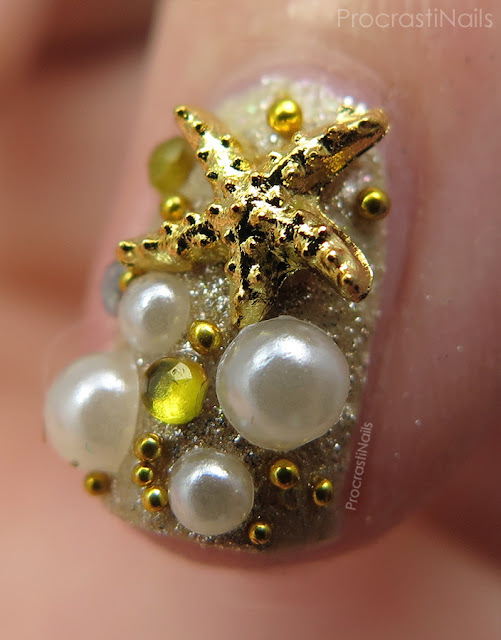 Once that was dry I layered on some non-quick dry top coat and they placed all my gems, starting with these two gorgeous gold starfish! 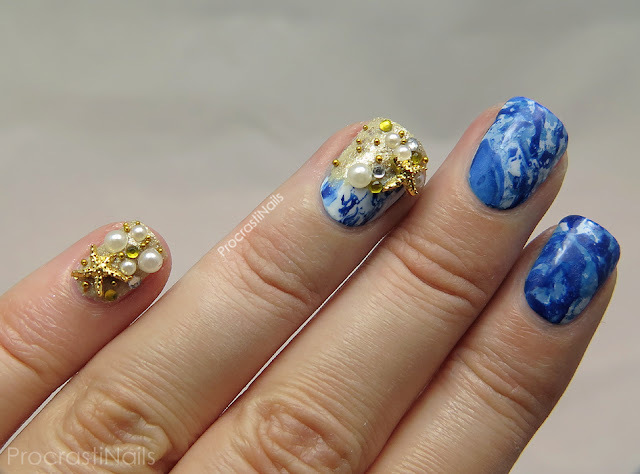 I'm on a roll with nail art I love right now, and I'm really happy about that! 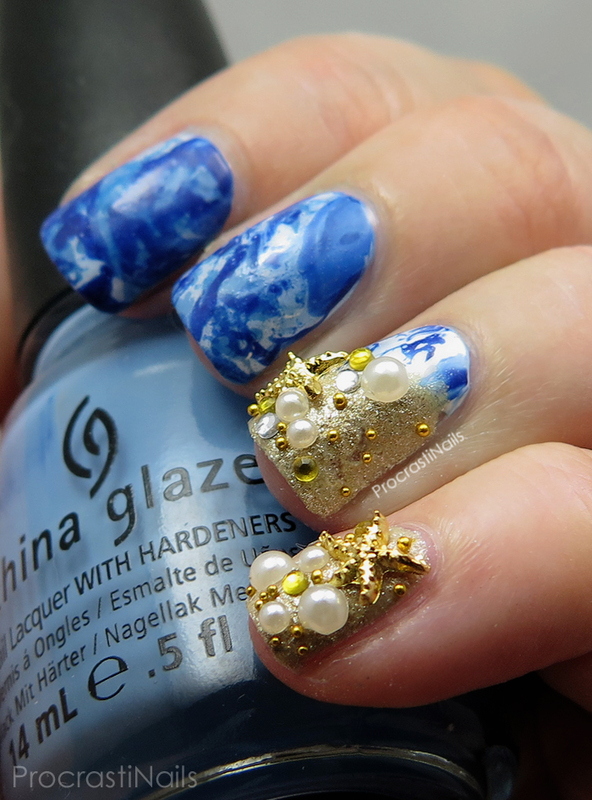 These turned out exactly as I pictured when I planned them - if not better! If you're interested you can pick up these charms right now for $2.35 from Born Pretty Store, and you can also check out their other nail art accessories and tools. And if you want you can use my discount code for 10% off: ASZW10! Let me know if you love these as much as I do (even though I'm kind of guiding your response right now... OH WELL)! Haha. This looks AMAZING! 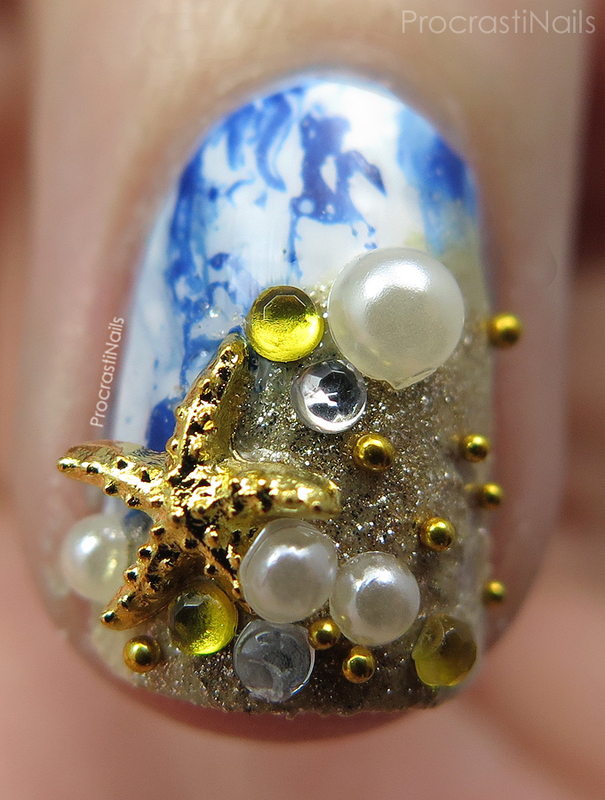 Love the little beach parts and your ocean looks full of movement, well done! Eee, thanks Deborah! I'm really happy with how my ocean turned out! Wow, that is totally amazing! It is super-3D! Such a fun beachy mani! I love it!